Well, not to be confused with the fishing weather conditions. We’re talking here about the best time to go fishing in a day. Not that easy to quote, right? The reasons are many. We have plenty of experts and pro anglers around and almost each one of them has a different opinion about it. I’m sure that you have heard it somewhere that the best time to fish in a day is all the day. However, it has been spread like a proverb in our fishing communities. Whereas in reality, it has a very low relevance to the topic. So, here are we! 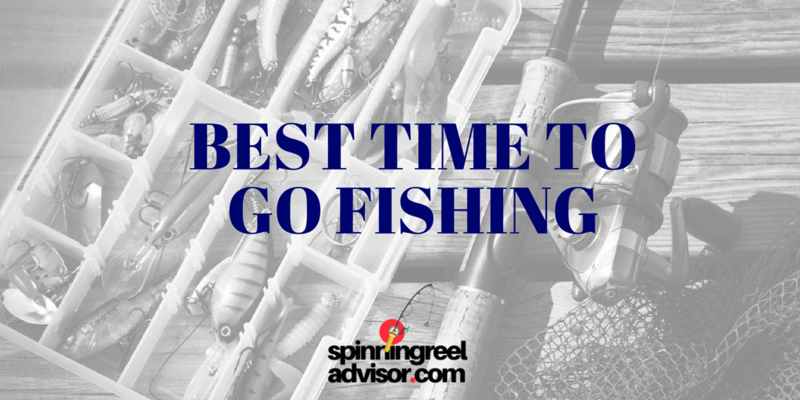 We’ll try to give you some bold ideas to determine the best time to go fishing. In fact, in most of the cases, those won’t be the best time of the day. But we guarantee that it will be comparatively more likely for you to go on and reel in a fish easily. You may have the best fishing spot and all the equipment but fishing at the correct time is important for a fruitful outing. If you leave at a bad time, hands can be empty while you return. There are plenty of factors to keep in mind deciding when to go for fishing. Now let’s get straight into the points. There’s a proverb; time and tide wait for none. However, we are not gonna dig into that proverb though. Keeping a tide chart is likely to be the very first thing for a fishing trip. Why? None of your methods are gonna work well unless you are fishing at the right time. You are narrowing down your chances. And charts are nothing rare to have. Just hit the tackle stores or search on the internet. Type “Tide Chart” along with the name of your city to simply determine what times the tide is high or low in your area. 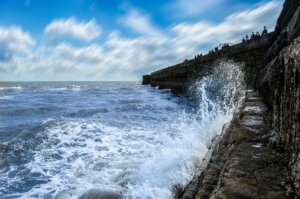 Tides work as an effective catalyst for fish activities and behaviors. Try fishing when the tide is falling or rising. This allows fish traveling to shallow areas to look for foods. While the change in tides takes place, they access the newly made shallow areas seeking new food sources. Fish move exactly as the tide moves. Stay alert! And choose the right spots for throwing your lines or nets. You might need some extra buckets to fill with fishes if you do your calculations right. Always find a shallow zone if the tide is high. Otherwise, look for an area to the bottom during a low tide. Fishing is not easy in low or high tides due to the lessened water movement. But fishing 90 minutes either side of a tide change is a definitely a good choice. Fish are cold-blooded, unlike us humans. They don’t like their body temperatures at a persistent level. Because the water temperature affects the body function of the fish. Besides, the volume of oxygen in the water lowers, when the temperature is very high or low and this makes the fish sluggish. So fish are less active in days when it’s too cold or too hot. They eat bugs, little tiny fish. So naturally, they are supposed to be active when the bugs are most active. If the air is warm and dense with mosquitos, expect fishing to be great. Fish activity changes depending on the light and temperature. Low brightness and lower temperature are the favorites. So instead of fishing in the exhaustive sun of midday, you better through your hook in the early morning and late afternoon. The water temperature is more comfy to move and jump around as they feed in these specific time periods. Flawless time to cast your line, isn’t it? Late morning is better as the sun warms up the shallows by then. Fish lean towards cooler, deeper waters to stay more relaxed when the sun is bright and hot. So, early morning and late afternoons are brilliant times to go fishing with top water lures or shallow. Temperatures are comparatively cooler, and the lights are lower at these times. And guess what? This is what the fish wait for! This is when they travel the ridges for meals. If you are equipped with deep fishing baits, lures and rigs, then the midday is a pretty good time for your catch. As the rise of temperature of brightness occurs, fish tends to the deeper parts of the water. Overall, fishing will be dawdling when it’s too hot or too cold. So keeping a bit of biology might help you pick the right kinds of lures and baits to use. Try working your tackle slower in colder water and faster in warm water. By this time, you know how a combination of time, light and weather can affect your fishing. Moon segments do have effects on fish. Fish loves splendid light and temperature. They float around close to the water surface in full moon and like to feed when there is light with no high temperature. And when it’s a full moon, they are lured by the light so that they use it to look for food. Alike temperature and tides, moon segments alter on a daily basis as well. Nevertheless, there are two times that are unfailingly appropriate for fishing and they are between the dawn and dusk. Similar to every other animal, fish also have behavioral arrays that are affected by seasons. They come out in plenty in specific times of the year. This will certainly diverge based on where you are fishing and what sort of fish you are to catch. As fish bite on and off, you surely can have better luck just before the end of the season when things get a little warmer, instead of depending on the spring season only. If you can avoid the hottest times of the day as we mentioned earlier in this article, summer is another good fishing season here. Fall is kind of unpredictable. But there is nothing else wrong with fall. It can also be a season of catching plenty of fish. And lastly, winter is never a good time for fishing by any means. Spring – Fish bite on and off during Spring. But as we discussed earlier that spring isn’t a season to rely on. Only when things get a little warmer, you’ll have the chance to reel in some fishes. During the spring mornings, fish can’t find enough bugs to feed themselves. So a big opportunity for your lies here. We recommend taking advantage of their feeding time at dusk. 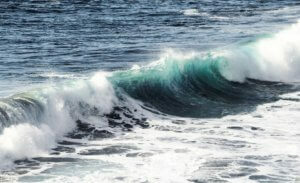 At this particular time of the year, winds are supposed to push the warmer, food-filled surface water close to the shore. Trying to position yourself downwind along the shoreline will be a good move. Summer – Early summer mornings, fish don’t bite. The water stays cold and doesn’t heat up since the sun is low and the rays leap off the water. There are plentiful food and shelter for fish in the summer time, so finding hungry fish for your lures or baits won’t be easy. From the late morning to early afternoon, fish are biting off and on. This is because the water starts to warm up as rays begin to penetrate the water. The winds push the warmer surface water as well as food into the downwind shoreline. So try fishing in that area. Water cools during the early sunset until dark, fish swim up from the depths and explore the surface. And as their digestion and metabolism are activated, they will be eating a lot. And this is an excellent time for fishing. Water remains warm before the evening because the sun stands directly overhead. Fall – This can be an uneven period, but when you’re fishing good, it becomes too good. They don’t bite frequently in the morning and early afternoon. Water remains cool as the sun stays too low to breach the water. Concerning the end of the day, the water is warm from hours of sunlight, and the fish will be biting off and on more than usual due to warmer, shallow water. Also because of the looming food unavailability that winter brings. Dusk is hence an excellent time for fishing. Water is generally cool due to the season. From afternoon to early evening, fishing is excellent. Sun is quiet overhead for numerous hours and the water near the surface gets comfier. This creates a great time to go fishing, as fish are hitting on weight for the winter. Winter – For certain reasons, winter is not the best time for fishing. But if you are talking ice fishing, which is completely a different thing, then it’s okay. Else, you could leave your fishing tackles in storage during this season and go to hibernate. Lol. Another catalyst that has an effect on you fishing triumph is the wind. Fishing success varies as per the change in wind pattern and strength. Casting into the wind from a shore is the best method while you are fishing on a windy day. Let me explain, the wind drives the surface water and fish foods close to the shorelines. So bait fish are naturally floating them behind it. This attracts the game fish running after the bait fish as well. As a result, casting into the wind makes your lure move with the wind along with surface food and fish at the same time. And if you plan on fishing from a boat, then we recommend casting towards the shore, in the same direction as the wind. 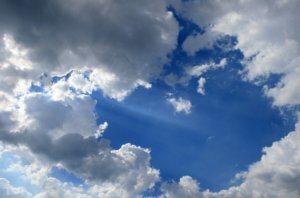 Cloudy days can boost your fishing success rate. Guess how? Fish like low brightness and less heat. And the clouds obstruct the sunlight to penetrate directly into the water. This makes fish bolder. Overcast skies in cloudy days tell you when to fish. Because cloud makes fish travel through the waters more briskly for food. Compared to a bright day when they lean towards hiding and staying close to structure, their activity is very frequent on a cloudy day. Fish are less likely to just relax at specific areas and spots on an overcast, cloudy day. Rather they are more likely to scatter throughout the waterways on a cloudy day and swim further from safe structures. So with limited efforts at such times, you can return home with big catches. Cheers! When you know a storm coming soon, don’t sit back in your home. Because fish feeding increases immediately before a storm or cold front. But this feeding slows down during the storm and after cold front hits. Fish are deeply synched with barometric conditions, as they are cold blooded. So change in weather patterns and storms affect fishing success by degrees. Take note, fishing after a cold front can rarely be a successful venture and it continues to stay poor for the next day or two. Warm fronts cause surface water temperatures to rise, turning fish into a feeding mood. A light rain is one of the best time to go fishing for certain reasons. So stop having a cup of coffee sitting next to the window, if you want to catch some fish. 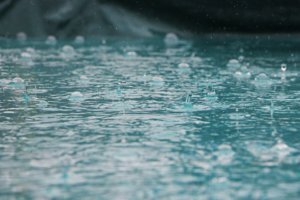 Warm spring or summer rain is an excellent fishing weather. Rain blurs the water surface to a fish, making it harder to see you. This helps you hide from the fish and become invisible. This is applicable and appropriate for shore, wade or boat fishing. Rain washes away lots of insects and fishing bait into the water. And that crafts a feeding rampage for the fish; a prime time for fish to eat. Ignore the hard rains as these are poor conditions to go fishing. Heavy rain increases current flow in rivers that gives the fish a tough time maintaining a comfortable position in the waters. Higher water levels indicate unsafe fishing conditions as well. Hard rain causes heavy runoff that can clog fish gills up. It stirs up the mud making it challenging for the fish to find bait or lures. Even it’s harder to breathe and navigate for the fish during heavy rains. So rain can either be your friend or your enemy, and this depends on how hard it is. The fish don’t like to be out in that weather either, which you think is an unsafe fishing condition for you. Good for you, isn’t it? So, Finally what is Best Time to go Fishing? Never underestimate the bugs. They may seem negligible in size but let’s face the truth here. Fish feeding activity is unswervingly knotted to insect activities. You see that smaller fish eat the insects and these smaller fish are then eaten by game fish later on. Also when the air is thick with plenty of flies or mosquitos, it does make an excellent fishing condition. Makes sense, eh? Wait, don’t you dare to forget wearing plenty of insect repellent. Lol. Try to follow the moon as much as you can. Be observant because the moon controls the tides, and you know that tides are a key role player in fishing conditions. You can keep track of the tides easily, by just observing. Pay attention to the movements of the moon closely. Full moons, as well as intervals when the moon is close to the earth, are amongst the best time to go fishing. Go search on google. You will see plenty of free lunar calendars online, aimed to assist you finding the peak fishing hours ate ease. Knowing your fish is important. As each type of fish prefers different water temperatures, times of day for feeding. Especially when you are fishing for any particular species, go through some research. For example, if you want catfish, no matter when you go out if you are not undertaking from shallow waters. Need some spinning reels for this season? Why not check out our spinning reels buying guide? Packing in your tackles for fishing, you expect a lot of fish to catch. Your jaw will hit the floor knowing the number of anglers callous to fish friendly times. By the end of this article, we know how fish maneuver in our fishing dregs. Soon as you master these points, your chances of catching will lift for sure. But, after keeping all these things in your mind, go fishing when you have the time. It really is better to acknowledge when the fish will be out in force, but the open secret is that mostly all of us go fishing when we have the time for it. Fishing is not about just catching fishes. I mean you still can enjoy a quality time fishing with your buddies without even catching a thing. So our suggestion is not to get enclosed in finding the best time to go fishing and forget to have a pleasant time. We anglers know the time we spend in fishing is valueless, especially when it’s good spent.